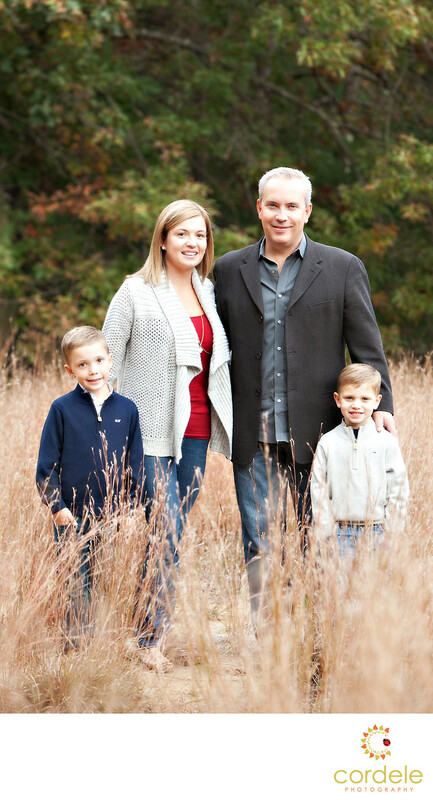 Family photos in a field are some of my favorite. This photo was taken at Mattera State Park in North Reading MA. The colors in this photo are blue, gray and dark gray and tan. The entire family wore jeans and made sure they didn't match but went together. The long grass in the field really brought out the colors in their outfits. I love the pop of red in the moms shirt.